The Judicial Diversity Initiative has helped state courts come closer to reflecting the demographics of the community — but there’s still a long way to go, attorneys said. Hans Ottinot, chair of the Miami-Dade Judicial Nominating Commission. An effort to support qualified black candidates for the bench in South Florida has made strides in recent years — but there’s still a long way to go, minority bar association leaders said. Gov. Rick Scott has appointed a number of black judges in recent months after a push from the Judicial Diversity Initiative, a coalition formed in 2015 of seven black bar associations. The group has attended judicial nominating commission interviews, sent letters recommending candidates, helped candidates through the application process and met with key stakeholders, including the governor’s office. Newly appointed Miami-Dade County Court Judge Gordon Murray, selected Tuesday, said he applied for a seat numerous times before — but because of the Judicial Diversity Initiative, he had extra support this time. That included mock interviews and other help from the coalition’s co-founder Beranton Whisenant Jr., who died in May. The Judicial Diversity Initiative also saw one successful election cycle, with 2016 making Florence Taylor Barner the first Haitian-American elected to the Broward bench and Bradley Harper the first black lawyer elected to the Palm Beach judiciary. The initiative pools the resources of the Wilkie D. Ferguson Jr. Bar Association, the Gwen S. Cherry Black Women Lawyers Association, the Caribbean Bar Association, the Haitian Lawyers Association, the T.J. Reddick Bar Association, the F. Malcolm Cunningham Sr. Bar Association and the National Black Prosecutors Association. The Miami-Dade Judicial Nominating Commission’s new chairman, Hans Ottinot, received a letter from the coalition last week recognizing the progress. Past JNC chairmen Daniel Fridman and Luis Suarez worked closely with black bar associations to “demystify the JNC process” and show a commitment to a “fair, transparent and inclusive process,” the Oct. 23 letter said. The efforts led to the nomination of several qualified black candidates, including recently appointed Miami-Dade County Court Judge Renatha Francis, the letter said — but there’s more work to do. In the past, Scott has said diversity is not a top priority when he selects judicial candidates, as he’s focused more on qualifications. But in a recent meeting with members of the Haitian business and legal community, Scott was more encouraging, Jean said. Ottinot, who is Haitian-American, said the JNC’s diversity is part of the solution. The nine-person Miami-Dade commission includes two black members and four Hispanic ones, he said, who also represent a range of professional backgrounds in the law. The commission welcomes input from minority bar associations, but the group doesn’t directly discuss diversity when it selects nominees to send to the governor, he said. In Broward, T.J. Reddick Bar Association President Harold Pryor said the JNC has also been receptive to working with minority bar associations. The appointments of Broward Circuit Judge Fabienne Fahnestock and County Court Judge Keathan Frink, both black, in the past year was encouraging, Pryor said. But elections are a bigger hurdle, as many lawyers see them as “practice-killers,” he said. That’s why the Judicial Diversity Initiative is encouraging law firms to hold fundraisers for qualified black candidates and inviting them to speak before legal groups and other community organizations they’re involved in. 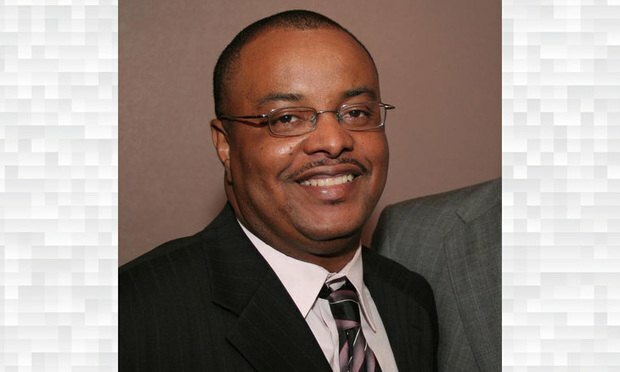 For example, Wilkie D. Ferguson Jr. Bar Association President Trelvis Randolph said he helps spread the word about black judicial candidates through his roles as general counsel for the Miami-Dade branch of the NAACP and as a member of the Phi Beta Sigma fraternity and the board of the LGBTQ rights group SAVE.